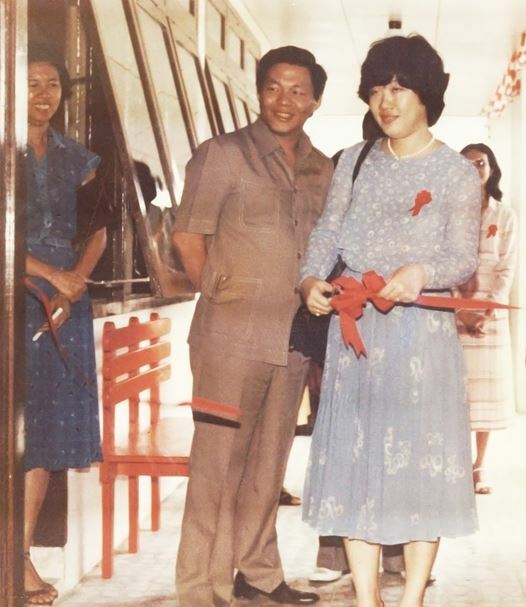 Together with his wife Tinah Bingei Tanoto, Sukanto Tanoto opened a kindegarten in 1981. This was followed by an elementary school in 1982 and a junior high school in 1984, much to the benefit of the community. The kindergarten opening marked the beginning of Tanoto Foundation. Education and life-long learning are values Sukanto hold dearly, having been deprived of it in his teens. On top of improving educational infrastructure, the Tanotos helped roll out programmes and initiatives that developed the skills of teachers and school administrators. They brought in experts to train the teachers on the latest methods and approaches on teaching, raising the standards of education for beneficiaries in the community. In parallel with teacher training, Sukanto Tanoto also wanted to continuously encourage children to stay in school and do their best. Building schools created access. Upgrading and stocking schools with adequate resources, basic amentities, well-trained teachers and good libraries was the next step. Children still needed to have the means to go to school. Sukanto decided that scholarship was another way to encourage and reward the drive to learn. As much of his success was due to his gritty resilience and hunger to learn, Sukanto wanted to foster these qualities in children in the community. This would be the sustainable approach, as over time, these children will grow to contribute to the self-sufficiency and resilience of their communities, and for some, the nation. Ever since its inception, Tanoto Foundation vigorously continues and advances this endeavour. Quality education does accelerate opportunity. Deeply embedded in his business philosophy is the 5 Cs, and Community is mentioned first. It represents the importance he places on it and why he and his family often support community-focused educational development programmes. Believing in the multiplier effect of philanthropy, the Tanotos believe that giving will beget giving, resulting in a virtuous cycle of help that will raise quality of life. Read more on Commitment To A Cause: The Continuing Evolution Of The Tanoto Foundation on Forbes now.